This week's Maitri Tunes came to us by chance while browsing through some websites around music. The simple and subtle language used by Aditi in this blogpost touched a chord and we hope it delights you too! 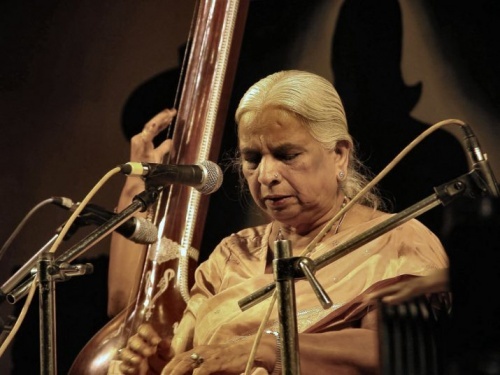 “If you want to listen to thumri, listen to Girija Devi.” I was told this morning. So I opened youtube, searched for Girija Devi and played the first thumri that popped up, “Piya nahin aaye” in Desh Raag. I am of course, very much a novice explorer in the world of music and will listen to anything once. The music moved me, but I did not notice the lyrics at all. And then got caught up in morning rush hour. I am seeker of patterns, trying to make sense out of meaningless data. “You are so data driven”, someone said to me recently. Give me data, any data, events, numbers, words, pictures and I will analyse and infer the crap out of it in search of “understanding”. And yet, on days like today, I surrender to data. I stop looking for meaning. It is impossible to make sense of this combination of music and words – its beauty and emptiness and the beauty in the emptiness which simultaneously leaves a hole inside me and a smile on my face. Which leaves me alone and elated, hopeful and hopeless, one and many. So I surrender. I accept everything that comes my way today. And think of Siddhartha at the river bank again." Why has my Beloved not come yet, dear mother!